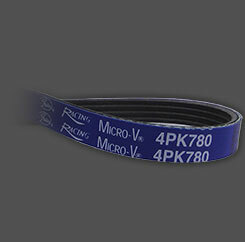 Gates Racing Micro-V® Belts are built with high-modulus, low stretch polyester tensile cord for optimal strength. 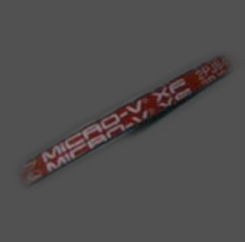 The overcord is made of coloured fabric that will not wear off and has a patented EPDM compound that gives three times the heat resistance and three times the life under high load conditions. 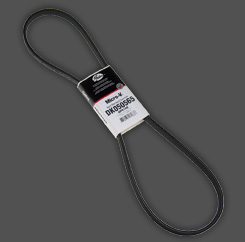 The precision rib profile and advanced material technology of Gates Racing Micro-V® Belt ensures low noise and exact pulley fit. 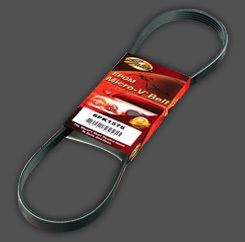 Gates Racing Micro-V® Belts are built with high-modulus, low stretch polyester tensile cord for optimal strength. The overcord is made of coloured fabric that will not wear off and has a patented EPDM compound that gives three times the heat resistance and three times the life under high load conditions. 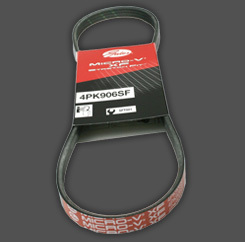 The precision rib profile and advanced material technology of Gates Racing Micro-V® Belt ensures low noise and exact pulley fit.